At the November 21st legislative session, I introduced legislation that would regulate commercial solar farms in Baltimore County located on Rural Conservation land. Solar panels for residential or agricultural use will not be impacted by this bill, nor will it affect solar projects on government owned land. This legislation would impose restrictions and regulations on commercial solar farms in regard to zoning placement, minimum and maximum acreages of the solar array, and required set-backs from adjacent property owners. In addition, other regulations will apply to: screening, storm water management, maintenance and the posting of a bond for the removal of obsolete panels. While it is undisputed that solar energy is a clean and renewable resource that can lead to reduced air and water pollution from the use of fossil fuels, I am deeply concerned about how the proliferation of commercial solar farms will impact agricultural land and water quality in the greater Baltimore area. It is important to note at the outset that undeveloped land in the North County acts as a natural filter for water flowing into Baltimore County reservoirs, which provide access to clean water for 1.6 million people. Currently, Baltimore County is close to reaching its goal to preserve 80,000 acres of land for agriculture and conservation. Thus far, 64,000 acres have been preserved at a cost to taxpayers in the tens of millions of dollars. The potential unrestricted proliferation of commercial solar fields would threaten to undue these hard won successes. Currently, there are four solar panel farms in the pipeline for approval. One proposed project is 7 acres, and the other three are 14, 70 and 90 acres. While it appears that the County is holding up the permit process for new projects in the spirit of the solar moratorium, which was vetoed, I am told that there are many more that would start the approval process, if the Council does not act soon. It is not a mystery as to why there is such interest to locate commercial solar arrays on farmland, since it is much cheaper to construct commercial solar fields on agricultural land than on commercial property. Solar companies are paying landowners $1,000 to $1,250 a year for each acre leased. Additionally, some companies are offering to pay the increased property tax bill that will accompany the operation of commercial solar fields on agricultural land. 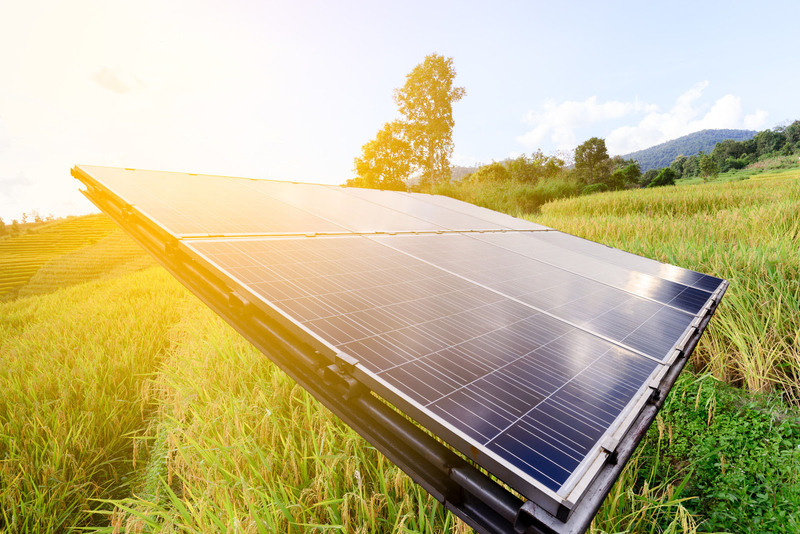 No one can blame the landowner for taking this attractive offer when the agricultural profits per acre may be less than the solar company’s payment per acre. However, the net effect of this threatens the use of vital agricultural land for food production, endangers our water supply, and portends the end of the rural way of life for much of northern Baltimore County. It is also the case that commercial solar farms will become obsolete one day. Without regulations or restrictions, there is no guarantee that the solar panels will be removed and the land re-mediated for agricultural use. This bill would do just that. For those interested, there will be a legislative work session on the proposed legislation in the Council offices (Plum Room) on December 5th at 1:00 p.m. Please call my office – 410-887-3387 – for answers to any questions you may have.